December 21, 2016, Hayward, CA: In this season of giving, the Alameda County Office of Education (ACOE) partnered with local East Bay charity, OneChild, to gather warm coats for children in Alameda County. 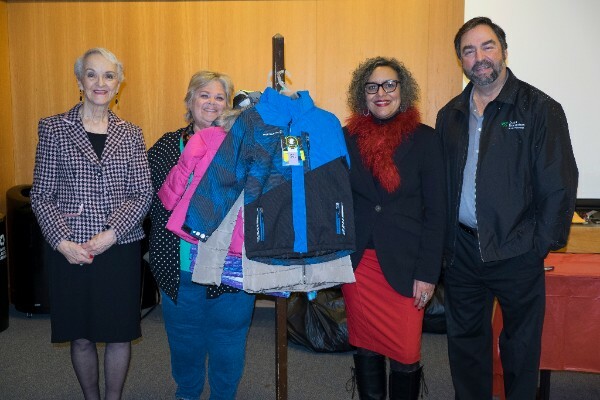 Led by the vision of Alameda County Board of Education President Eileen McDonald and Alameda County Superintendent of Schools L. Karen Monroe, ACOE staff collected brand new coats to be donated to youth in kindergarten through twelfth grades. OneChild is a non-profit organization dedicated to providing disadvantaged youth with new clothing and school supplies. The main goal of the organization is to promote self-esteem in underprivileged children so that they may appreciate their individual worth. The family-run organization was the vision of matriarch Bernadine Dutra, who, having grown up in poverty, was teased as a child for wearing used clothing. She created OneChild with the goal of offering families dignity in receiving donations by providing them with individualized shopping sessions for brand new items at the OneChild store, in order to prevent children and families from enduring the humiliation she felt as a child. OneChild began in Fremont and now serves families throughout the Bay Area. The coat drive was one of two donation drives that ACOE staff supported this season. Every year, ACOE staff donate various store gift cards to the students at ACOE’s court and community schools. This year they added over 45 brand new coats that were presented to OneChild representatives at the annual staff holiday party. 1. 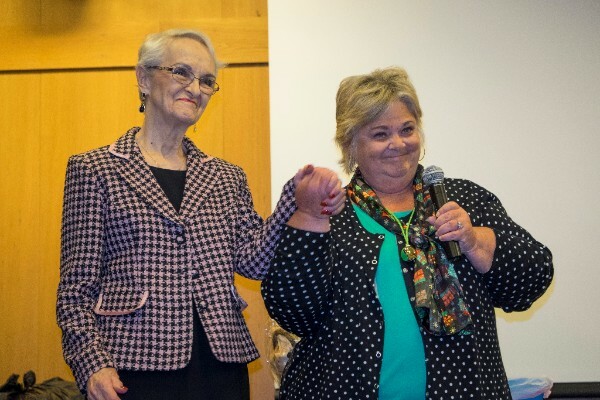 Bernadine Dutra, Founder OneChild with Eileen McDonald, Alameda County Board of Education President. | 2. (l to r) Bernadine Dutra, Eileen McDonald, L. Karen Monroe, Alameda County Superintendent of Schools, Tony Dutra, CEO OneChild. The Alameda County Office of Education (ACOE), under the leadership of County Superintendent of Schools L. Karen Monroe, serves as liaison between the California Department of Education and the 18 Alameda County public school districts that serve more than 200,000 students and 10,000 teachers. ACOE provides oversight of district budgets and Local Control and Accountability Plans (LCAPs). ACOE directly operates two types of schools that serve Alameda County’s most vulnerable youth: Court Schools at the Juvenile Justice Center and Community Schools that serve foster youth, students in substance abuse treatment, pregnant and parenting teens, Probation-referred youth, and students expelled from their resident school districts. ACOE also runs the Infant & Family Support Program, which provides individualized service for children from birth to three years and their families. For more information, visit www.acoe.org. The Alameda County Board of Education serves as the governing body for the schools and student programs operated by the Alameda County Office of Education (ACOE). ACOE operates two types of schools that serve Alameda County’s most vulnerable youth: Court Schools at the Juvenile Justice Center and Community Schools, which serve foster youth, students in substance abuse treatment, pregnant and parenting teens, Probation-referred youth, and students expelled from their resident school districts. Other duties of the County Board of Education include hearing appeals for interdistrict transfers and expulsions from school districts, authorizing charter schools, and approving the annual budget of the County Superintendent of Schools. The Board consists of seven members, each elected to serve four-year terms.